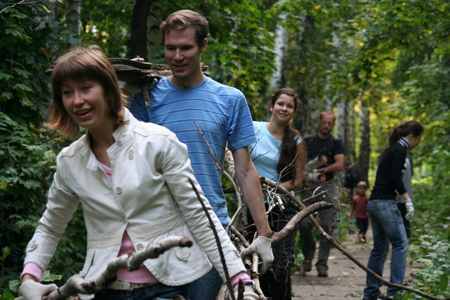 On September the15th 2012, millions of inhabitants of our planet took part in the world cleanup day «Let's do it!». School-students from school № 147 and also volunteers from Alcoa SMZ didn't stand aside from this event and went to the aid Samara botanical garden. The director of a garden – Svetlana Rozno told gathered about problems of a garden and thanked all that responded to a call for help. After all on the threshold of celebration of the 80th anniversary of a garden, the help of volunteers came just at the right time. 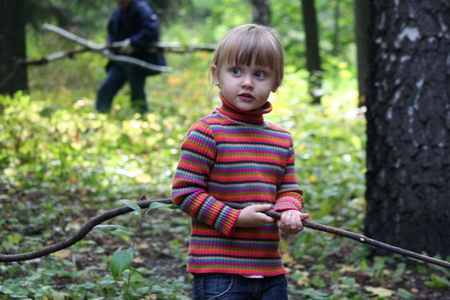 School students continued the works begun on Friday on «Zhigulevskaya hill», and the team of Alcoa was engaged in collecting dry branches, in a large number being in the tree nursery territory. 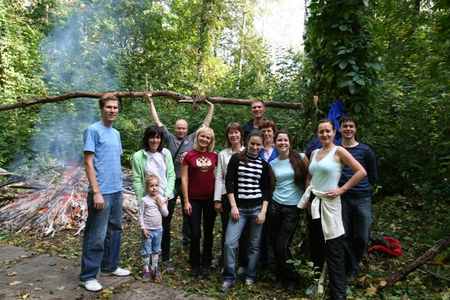 Everybody worked amicably and in 2 hours at both teams big heaps of branches and a grass were formed. After work all participants of the action were supported with the tasty treat prepared by Training Center, and also walked on a garden, took pleasure in its freshness, beauty and tried spring water from a spring "Botanical". The youngest participant of the action, three-year old Ruta, reported upon termination of an action that in the course of work she grew up and became a little more bigger then she was before the action! The action passed in a framework of program «Rational water resources management with a view of a sustainable development», supported by Alcoa Foundation and the Found for Sustainable Development. 15 pupils of school № 147 and 18 of volunteers of Alcoa SMZ took part in it. 2. School students worked in a garden from 9 a.m! Good job! 4. One grows spiritually and physically through this event!